The top tier Kenya Cup returns this weekend with a full schedule of match day eight action at venues in Nairobi and Nakuru. The ASK Jamhuri Park plays host to the round’s double header which pits Nondescripts against Blak Blad in the early kick off, paving the way for the fixture’s top bill between Menengai Cream Homeboyz and SportPesa Quins. The adjacent Impala Club plays host to the Strathmore Leos home clash against Resolution Impala Saracens, this fixture was originally scheduled for the Strathmore University grounds in Madaraka. Mean Machine are at home to Western Bulls at the UoN Main Campus was ruled unfit to host the fixture. 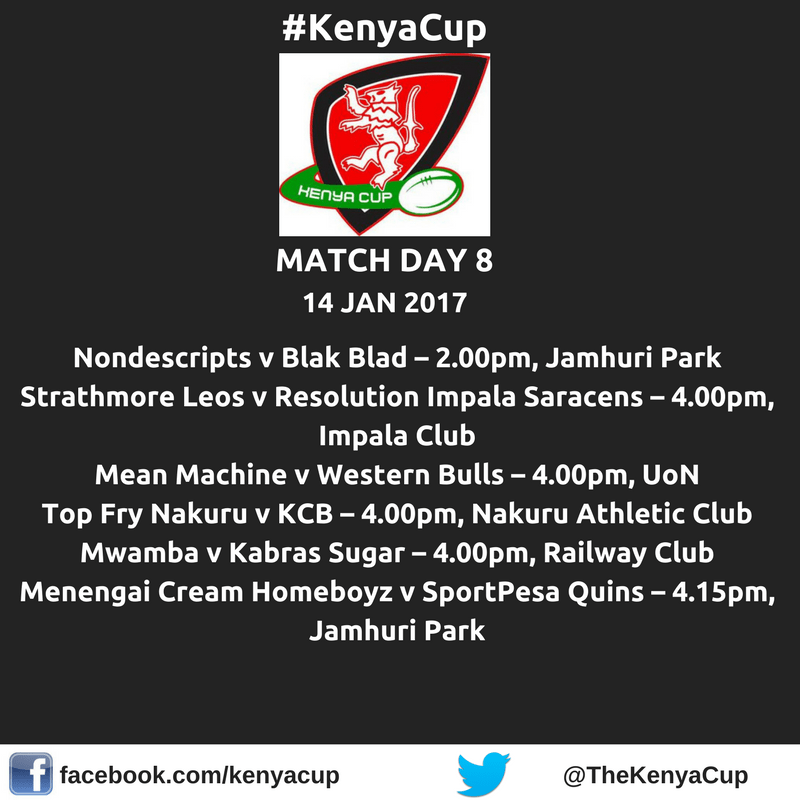 Mwamba welcome champions Kabras Sugar to the Nairobi Railway Club as Top Fry Nakuru host KCB at the Nakuru Athletic Club. The Eric Shirley Shield reserve league also resumes this weekend.